The Etchingham family have been huge supporters of our community either through school fundraisers, families in need, and as a PRNC member, Kristin has been involved in many LOL events over the years. However, the tables have turned and now the Etchingham family is the one in need. As a result, we’re excited to announce that the Etchingham family is the Labor of Love 2019 recipient scheduled for Saturday, March 16th 2019. Joe Etchingham’s family moved to Park Ridge in 1971 when Joe was 4 years old. 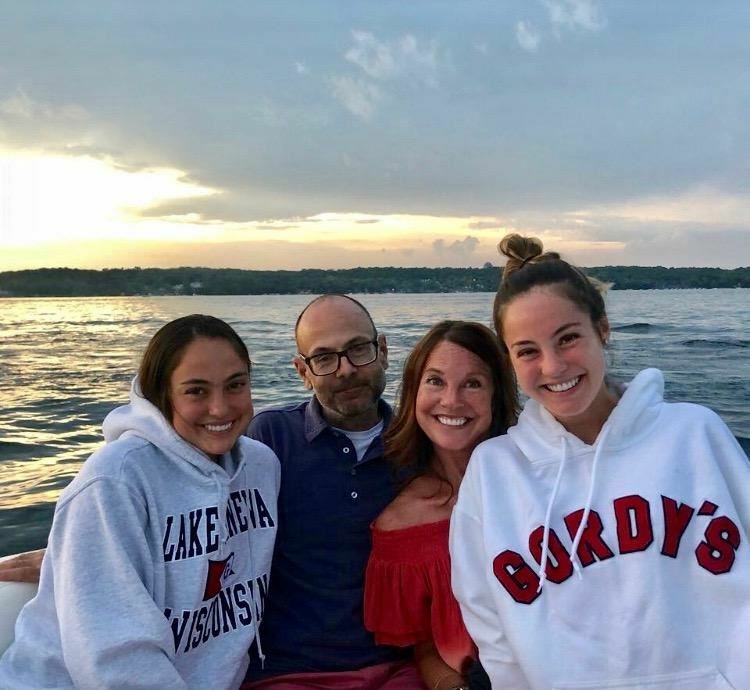 He attended Franklin, Emerson and Maine South schools and returned to Park Ridge after college/marriage to Kristin to raise his family/daughters: Ellie (Junior at Mizzou) and Maggie (Freshman at Miami of Ohio). In June 2014, Joe was diagnosed with Huntington’s disease. Huntington’s disease is an inherited disease that causes progressive breakdown/degeneration of nerve cells in the brain. Huntington’s disease has a broad impact on a person’s functional abilities and usually results in movement, thinking and psychiatric disorders. Most people with Huntington’s develop signs and symptoms in their 30s or 40s. After the start of Huntington’s disease, a person’s functionability gradually worsens over time. The rate of disease progression and duration varies. There is no medication or cure for Huntington’s disease. The time from disease emergence to death is often about 10-20 years. Eventually, Joe will require help with all activities of daily living and care. Late in the disease, he will likely be confined to a bed and unable to speak. The Etchingham’s are a kind, compassionate, and generous family. They are making the best of the difficulties they are facing and our support will go a long way to help them. If you are interested in joining a committee to support this cause or you have any questions, please contact Kelly Muno at kellymuno@gmail.com.